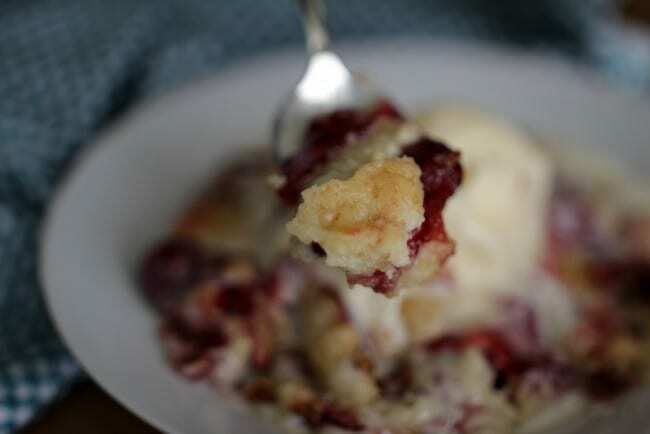 There’s nothing more comforting than a bowl of warm Cherry Dump Cake and a scoop of vanilla ice cream that’s slightly melted. Over the next few weeks, I’m going old school and digging through my Rolodex of tried and true recipes. Yes, I said Rolodex and these recipes are literally written down in my own handwriting, with food splattered on them, and organized nice and neat in the spinning wheel that used to be for phone numbers. 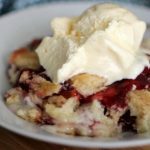 These recipes, like this Cherry Dump Cake recipe given to me by a good friend, have deep meaning to me. They were either given by a friend or are recipes handed down from my mom and grandma. I hope you’ll enjoy these as much as we do! If you need a dessert that is not only incredibly delicious but incredibly easy as well, then this is the dessert for you. 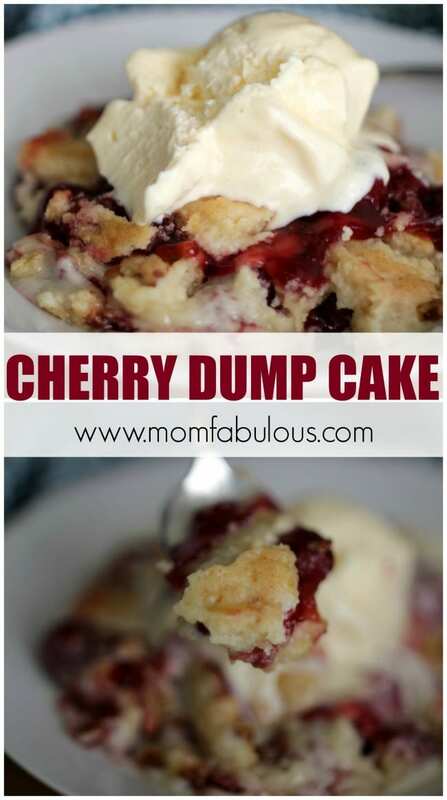 It’s called dump cake for a reason. Because you actually pretty much dump all of the ingredients into your 9×13 pan and then bake. Easy peasy. Here’s a video that shows the entire process of making the Cherry Dump Cake. You’ll see just how easy it is! 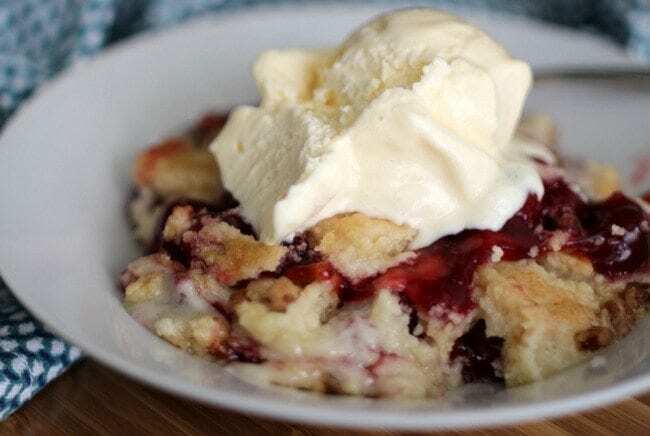 A warm, sweet and cherry filled dessert perfect with a scoop of vanilla ice cream. This dessert is best served warm. Speaking from years and years of experience, it's just as good warmed up. I make something similar. Same directions except I use one can cherry pie filling and one can crushed pineapple (drained). Really yumDemy…tart and sweet. I’ve heard of using pineapple and am definitely trying that next time. That sounds so good!